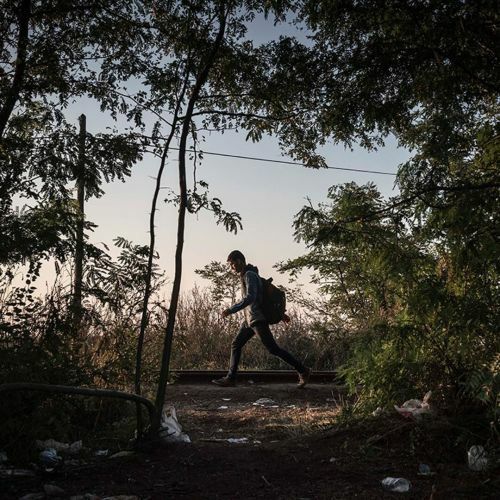 "A man walked along the railroad tracks outside of Horgos, the border crossing from #Serbia into Hungary, on Monday. @sergeyponomarev is one @nytimes journalist documenting the journey of tens of thousands of migrants and refugees — mostly fleeing unrest in the Middle East and Afghanistan — who are pushing their way through the Balkans to Hungary in hopes of reaching Germany and other countries in northern Europe. Follow @sergeyponomarev to see more photos." By nytimes on Instagram.